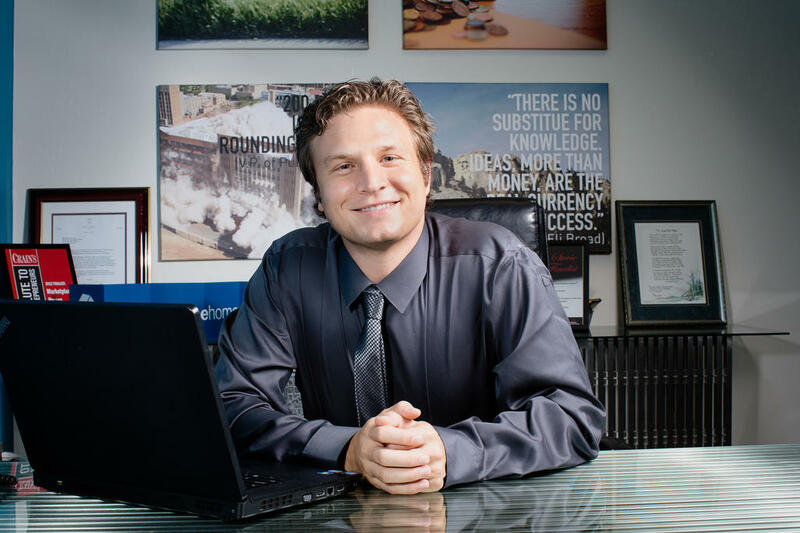 “We would love to offer the platform to top performing agents that would like to be more efficient and not have to drive all over town,” Kalis wrote. ZipTours was born out of necessity, Kalis said. Marketplace Homes — which operates in more than 10 states and says it’s on track to generate $34 million in revenue this year — created a basic version of the ZipTours in 2008 as a way to service a growing number of clients more efficiently and eliminate the need to send agents into the hardscrabble neighborhoods where many of its listings were located. Instead of dispatching agents to unlock its listings, Marketplace Homes has long been asking prospective buyers or renters to use a version of ZipTours to let themselves in. The technology is part of the reason why Marketplace Homes can manage and sell builders, lenders and landlords’ properties for low fees — and why the company offers to sell prospective buyers’ homes for free if they buy their next home with Marketplace Homes. ZipTours is a dressed-up and expanded version of the property-showing technology Marketplace Homes has been using for seven years. Marketplace Homes launched the platform about two months ago to attract more buyer clients. Although previous iterations of ZipTours only let users visit Marketplace Homes’ own listings, ZipTours can allow users to see listings represented by other brokerages as well. Marketplace Homes is offering buyers a 1 percent commission rebate if they buy through ZipTours and Marketplace Homes. Consumers can use ZipTours’ website or mobile app to search properties and schedule showings. To tour a home after a showing is approved (either by a listing broker or seller), users must initiate a video chat with a Marketplace Homes agent and then provide that agent with a photo ID and Facebook account. Screen shot showing ZipTours’ showing-request page. ZipTours says the agent uses the two forms of identification to validate a user’s identity. Once a user is approved, a Marketplace Homes agent provides a listing’s lockbox code to the user. The user can then retrieve the listing’s key and tour the home under the video supervision of the Marketplace Homes agent. Every home tour video is recorded and stored by ZipTours. Kalis says the showings it’s conducted using ZipTours technology over the last seven years has never led to any incidents, including the 1,000 showings that Kalis says ZipTours facilitated in September. Yet some real estate agents say ZipTours showings still raise security concerns for homeowners and creates legal liability for listing agents who might unwittingly sign off on home tours that clients would reject. They question whether matching photo IDs to Facebook profiles authenticates a person’s identity and dismiss the idea that video recording provides an adequate level of supervision. Kalis counters criticism of ZipTours first by critiquing the traditional showing system. Plenty of agents break the rules and share lockbox codes with buyers, and motivated wrongdoers can easily get access to the MLS and impersonate agents to request showings, he said. Kalis casts ZipTours as compensating for some of these vulnerabilities with its identity-verification and video-recording systems. Another criticism leveled at ZipTours is that the service doesn’t properly disclose how its home tours are conducted, potentially creating situations where some listing brokers and sellers sign off on showings that they would otherwise never approve. Marketplace Homes maintains that ZipTours only shows listings after obtaining consent to show the listings through video chats. But Martin Bouma, the listing agent representing the property where Wiley encountered ZipTours buyers, claims that neither he nor his seller received word that the buyer would tour his listing without an agent physically present. Sources have told Inman that they believe such concerns have prompted a local MLS to adopt stricter property-showing rules and led at least one brokerage to advise its agents not to approve showing requests from ZipTours. Realcomp II, an MLS that covers a large swath of the Detroit metropolitan area, prohibits agents from giving lockbox codes to anyone other than “those expressly approved by the seller or listing broker” or face potential fines. “Tip: You may want to include this MLS policy verbiage in the showing remarks of your listing,” the rule adds. Realcomp II declined to comment on whether it beefed up its showing rules in response to ZipTours, saying its CEO was away on business and unable to comment. Some listing agents in the Detroit area have recently begun expressly stating in listing showing remarks that buyer’s agents must physically accompany buyers when showing their listings, said Nancy Duncanson, a Rochester, Michigan-based agent at Real Living Kee Realty. “I think it’s a response to ZipTours,” she said. One reason agents may approve ZipTours showings without realizing the home tours aren’t conducted by an on-site agent is because many agents in the Detroit area use the MLS software ShowingTime to schedule showings. Agents are accustomed to using the software to instantly approve or reschedule showings through various communication channels, including by texting Y or N, and may not fully digest disclosures included in many showing requests. Does texting Y in response to a showing request constitute “prior written express consent” for a buyer to tour a listing without an agent physically present? Kalis thinks so. Others, including ShowingTime President Michael Lane, are skeptical. ShowingTime has had informal discussions with both Realcomp and another Michigan MLS, MiRealSource, on ways to address how ShowingTime is being used by ZipTours, Lane said. MiRealSource did not immediately respond to a request for comment. One reason ZipTours can function in the markets covered by MiRealSource and Realcomp is that the two MLSs do not use electronic lockboxes that require key cards. Lane said about three-quarters of markets use electronic lockboxes. That presents a serious barrier to growth for ZipTours because agents operating in markets with electronic lockboxes are typically prohibited from sharing their key cards with consumers. But while ZipTours may face challenges ahead, the app piggybacks on the same guiding principle that powers the driver-hailing app Uber and short-term rental site Airbnb: that complete strangers are willing to place a great deal of trust in each other. This would seem to bode well for ZipTours. Despite grinding up against industries and regulators all around the world, Uber and Airbnb have become massively popular and are worth tens of billions of dollars. Marketplace Homes isn’t the only real estate startup to place that level of faith in consumers. 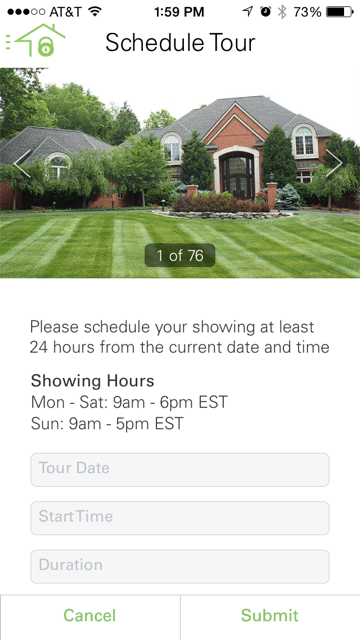 Promotional image of Opendoor’s property-touring mobile app. 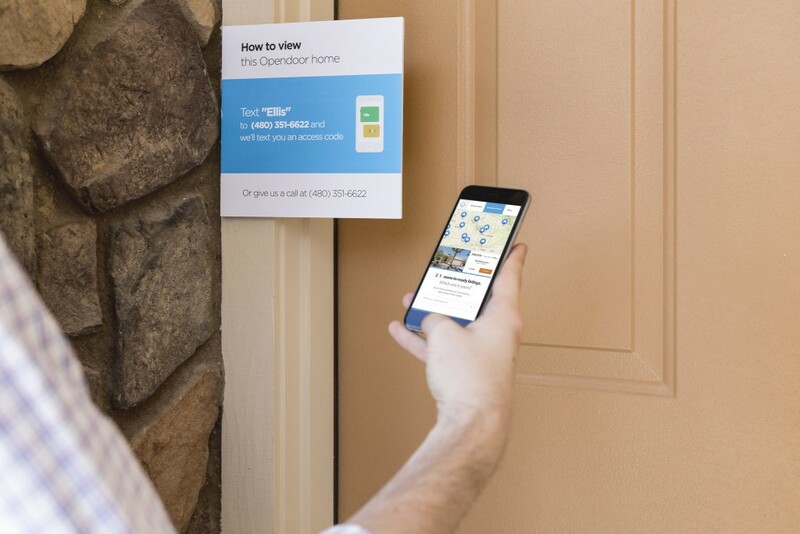 Opendoor — a Phoenix, Arizona-based startup that makes instant offers on homes, buys them in a matter of days and then flips them — recently launched a somewhat similar app. It lets prospective buyers use mobile phone to unlock the doors of any of OpenDoor’s listings at any time of day. The app differs from ZipTours’ in that it only provides access to its own listings, but the property-touring tool still suggests that buyers may soon find themselves with a growing number of ways to visit at least some types of listings without an agent by their side. 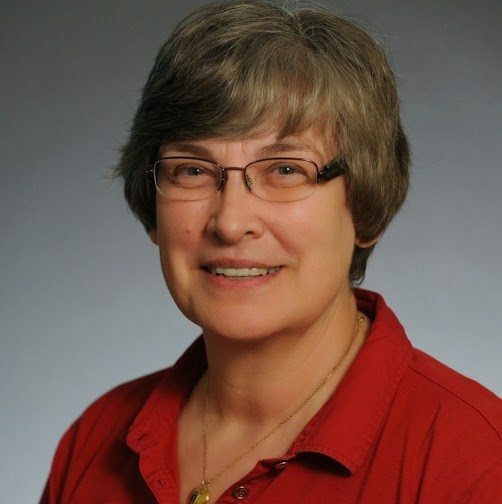 Editor’s note: This story has been updated to correct the spelling of Nancy Duncanson’s name.